The intermixing of modern humans and Neanderthals is back in the news: BBC News – DNA yields secrets of human pioneer. DNA analysis of a 45,000-year-old human has helped scientists pinpoint when our ancestors interbred with Neanderthals. The genome sequence from a thigh bone found in Siberia shows the first episode of mixing occurred between 50,000 and 60,000 years ago. The male hunter is one of the earliest modern humans discovered in Eurasia. 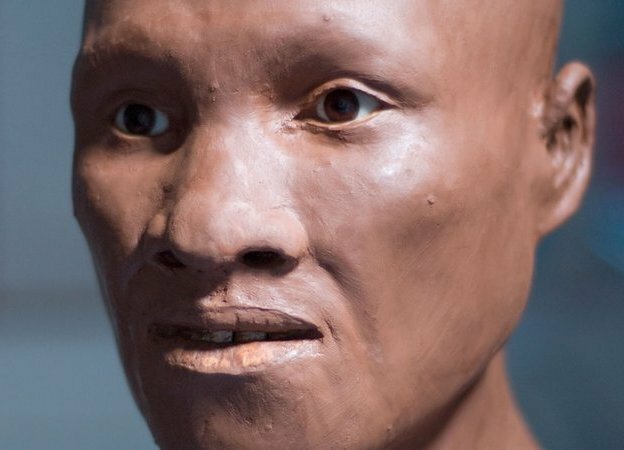 The study in Nature journal also supports the finding that our species emerged from Africa some 60,000 years ago, before spreading around the world. A year ago, I was pretty convinced that we, modern humans, were pretty much responsible for the extinction of the Neanderthals. Various theories about climate change causing it didn’t seem compelling, since the Neanderthals had been around for hundreds of thousands of years, no doubt weathering many climate variations, but had disappeared right around the time modern humans encroached on their territory. It appears that the population of Neanderthals was always low, a few tens of thousands across all of what is now Europe. When modern humans started encroaching on them, those modern populations were orders of magnitude larger. Maybe we didn’t eradicate Neanderthals or out compete them for resources (at least not completely). Maybe we intermarried with and assimilated them. It might be that Neanderthals didn’t so much go extinct as meld into the population of modern humans. As someone who is 3% DNA (at least according to 23andMe), I find this idea intriguing. Given the long history of us regarding the Neanderthals as some kind of ape-like sub-human, there may be resistance to this idea. But the more I read and think about it, the more it seems like that’s where the evidence is pointing. Maybe we’ve found Neanderthals and they are us. This entry was posted in Zeitgeist and tagged Africa, Anatomically modern humans, Anthropology, BBC, DNA, Eurasia, modern humans, Nature (journal), Neanderthal, Neanderthals, Prehistory, Science, Siberia. Bookmark the permalink. 4 Responses to Maybe we’ve found Neanderthals, and they are us. If your numbers are correct – that 3% of our DNA is Neanderthal and that homo sapiens outnumbered Neanderthals by a factor of 30 – then that sounds plausible to me. Thanks. It’s actually appears to be a theory held by a growing number of paleoanthropologists given the DNA evidence. It’s a much more pleasant theory than the genocidal one.